With all of the holiday food consumption that takes place during the holidays I always find myself needing a detox after the holiday season. I think most of you can agree with me here! I have been a huge fan of the New Eat Smart Gourmet Salad Kits since I first laid eyes on them. They have so many delicious and healthy combinations. Not only do they have Eat Smart Salad Kits, they also have Stir Fry Kits are the fast and flavorful way to eat your veggies every day. Each kit is packed with five to seven delicious and beneficial superfoods. 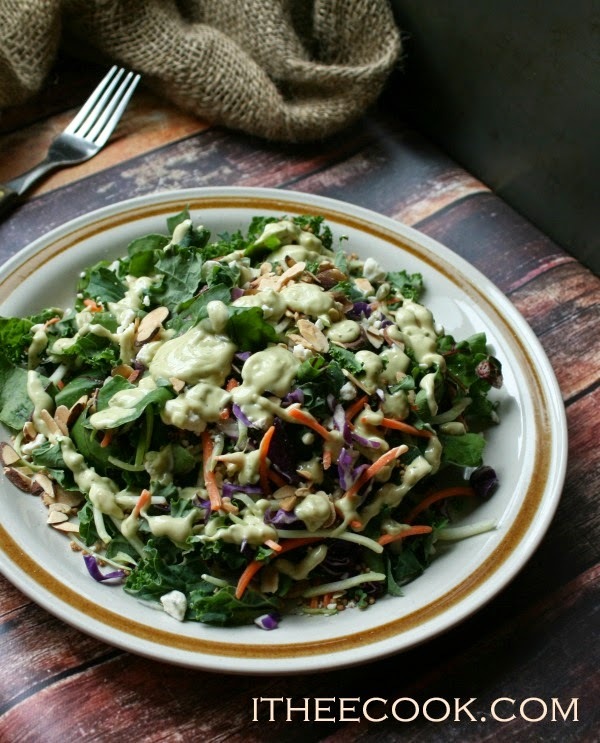 Many of the kits are made with delicious and sophisticated combinations of ingredients like kale, green cabbage, broccoli, Brussels sprouts, chicory, and/or quinoa and toppings like roasted pumpkin seeds, almonds or dried cranberries. Sounds delicious right? Well they totally are! This particular Eat Smart Salad Kit is the Wild Greens & Quinoa Salad. 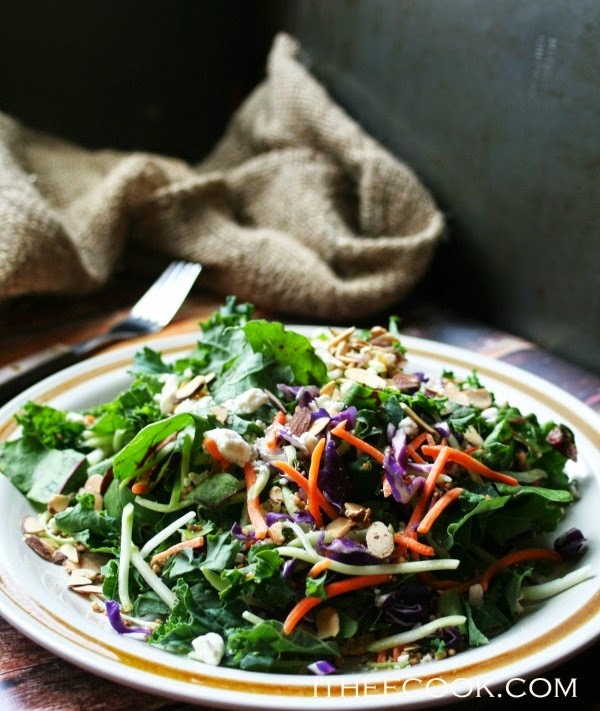 7 Superfoods included are Kale, Beet Greens, Broccoli Stalks, Carrots, Crispy Quinoa, Almonds, Feta Cheese, and Avocado Herb Dressing. Crispy quinoa?!?!?!?!? What!!!!!!! Have you ever? OMG I could eat it by the bucketfuls! The flavor combination was amazing and the dressing was to die for! You can easily add your favorite protein to any of these. I opted to stuff my face with just the salad. Eat Smart Salad Kits are a fast and delicious and healthy way to feed yourself like I did (and I wasn't sharing) or your entire family. Whichever way you choose Eat Smart Salad Kits are a great and healthy choice. For more information including a grocery store locator and quick and healthy recipe ideas, visit www.EatSmart.net. Your salad looks divine! The colors and textures just pulled me right into the photograph. Thanks for adding your wonderful recipes to the Foodie Friday party! What a great salad, we will really enjoy it. Thanks so much for sharing with Full Plate Thursday and hope you are having a great week.